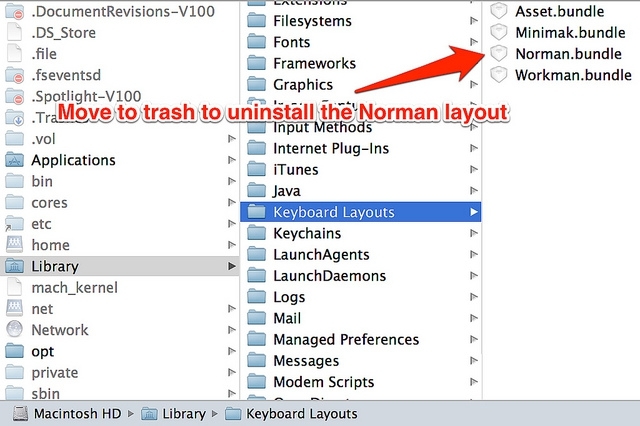 In the unlikely event you decide Norman isn't the keyboard layout for you, the following are the uninstallation instructions for the Norman installers for Windows and Mac. Navigate to the standard uninstall window in Control Panel. 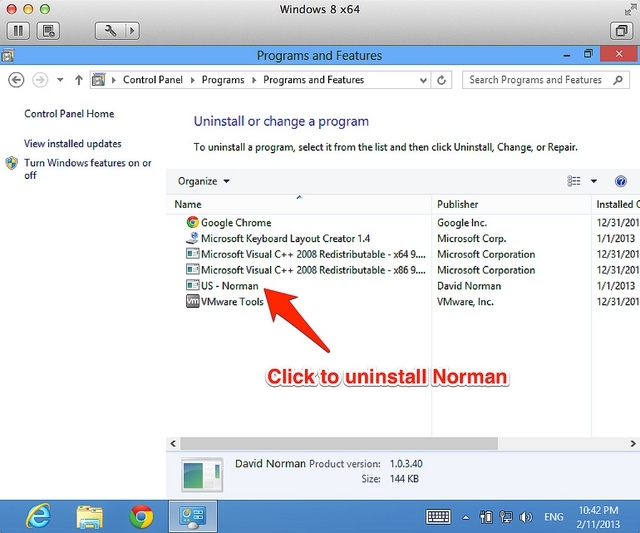 Uninstall the entry named "US - Norman". Alternatively, you could just move the bundle to the trash through Finder, as shown in the screenshot.